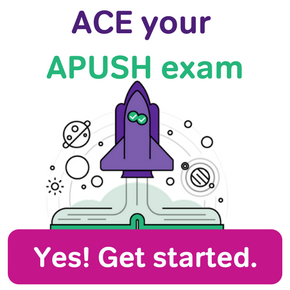 The short answer is one of the newer features of the APUSH exam, and at 20% of your overall APUSH score, you want to make sure you can tackle these questions with confidence. Use these 3 questions – and one student example – to help you study for the short answers on the APUSH exam. What does a short answer question require me to do? 1. Analyze historians’ interpretations, historical sources, and propositions about history. 2. Answer questions that may include texts, images, graphs, or maps. 3. Update for 2017-18: The number of required short answer questions has been reduced to three, and the time allotted has been decreased to 40 minutes. 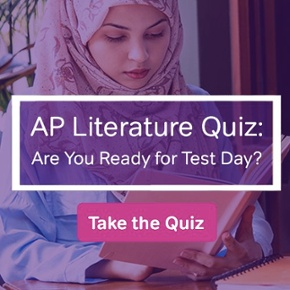 Students will choose between two options for the final required short answer question, each one focusing on a different time period. Think of the short answer as an opportunity for you to do more of the historical thinking work that you have prepared to do. Can you give me an example of past short answer questions? I can do that and break down why the student got the score that they did. The following example, and student response, is taken from the 2016 APUSH exam. For part (a), the question is asking you what contributed to the change shown on the graph – not what was the most important cause, or the major factor, but what contributed. This opens up a lot of possibilities for you! The graph is showing an exponential increase in immigration to the United States (notice the question isn’t asking for a specific part of the United States – score!) between 1820 and 1859. Questions (b) and (c) are asking you to explain historical events that resulted from this increase in immigration; again, this is not requiring you to talk about an immediate result or the most significant, but just to explain events that resulted from the change depicted in the graph. You can do both of these things. Let’s see how students responded. How well do you think this student addressed the three components in the question? Did you get a little confused at the third response? After all, what is this 3% limit on immigration this student is responding to? Let’s look at another example that got all 3 points. Your default assumption may be that this second response is longer, and therefore, it earned more points. 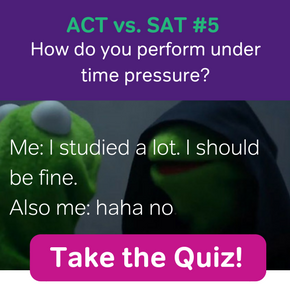 But that’s not what the APUSH scorers believed; after all, you only have 40 minutes. You need to be efficient in your responses. (a) 1 point: This well-written response earned a point for identifying increased immigration in the given time period as a result of the potato famine in Ireland. (b) 1 point: The response earned a point as it connects xenophobia to the fear that “immigrants would disrupt American culture” thereby leading to the Know-Nothings. My point in showing you these two examples is to demonstrate that (1) being accurate, (2) writing clearly, and (3) referencing specifics are what the exam graders are looking for in responses. If you can do those three things, you will be well on your way to full credit for each short answer question. Political Cartoon, 1856. Source Stanford History Education Group. Using the political cartoon, answer (a), (b), and (c) . (a) Briefly describe ONE historical perspective that would support the ideas presented in this political cartoon. (b) Briefly describe ONE historical perspective that would contradict/disagree with the ideas presented in this political cartoon. (c) Describe ONE event that was the result of the event presented in this political cartoon. The cartoon was drawn in 1871 by Thomas Nast for Harper’s Weekly, a Northern magazine. In this cartoon, we see Columbia, the feminine symbol of the United States, protecting a Chinese man against a gang of Irish and German thugs. At the bottom, it says “Hands off-Gentlemen! America means fair play for all men.” Source Stanford History Education Group. (a) Briefly describe ONE event or idea that Nast was responding to in this cartoon. (b) Briefly describe ONE way you know from the cartoon that this was published in a Northern magazine. (c) Briefly describe ONE outcome of the event or idea that is depicted in this cartoon. Source: Gene Smiley, “Recent Unemployment Rate Estimates for the 1920s and 1930s,”Journal of Economic History, June 1983. Stanford History Education Group. Using the table above, answer (a), (b), and (c) . (a) Briefly describe ONE contributing factor to the unemployment rates depicted in this table. (b) Briefly describe ANOTHER contributing factor to the unemployment rates depicted in this table. (c) Briefly describe ONE reason for the falling unemployment rates in 1941. (a) This cartoon represents the perspective of a Northerner, or a free-soiler who opposed slavery’s expansion into western territory. They are likely responding to the Kansas-Nebraska Act of 1854. (b) Democrats, like Stephen Douglas, would likely disagree with the opinions presented in this political cartoon because they believed compromise over slavery was the way to keep the union together. (a) Nast is responding to the finishing of the Transcontinental Railroad in 1869 that brought in an influx of Chinese immigrants and the xenophobic attitudes that Chinese workers endured as a result of their immigration. (b) This cartoon was published in a Northern magazine because the ruins of the Civil War and southern prejudice are depicted in the background. Nast is drawing a parallel between slavery and discrimination against Chinese workers. (c) The Chinese Exclusion Act of 1882 was an immediate outcome of the tensions described in this political cartoon. (a) and (b) The unemployment rates depicted in this graph are the result of The Great Depression, the Dust Bowl, and the responses to those events in the form of the First and Second New Deals. (c) One reason for the falling unemployment rates in 1941 was the increase in wartime industry. The US supplied war materials to their allies before entering World War II in December 1941. In Short Answer 3, Part (c), the answer should have the U.S. entering the war causing unemployment to go down in that year. The U.S. entered the war on 8 Dec 1941, which wouldn’t have much impact on the annual unemployment rate. The U.S. DID start selling military equipment to Britain and France in 1939, and this had an increasing impact on employment over the next three years.